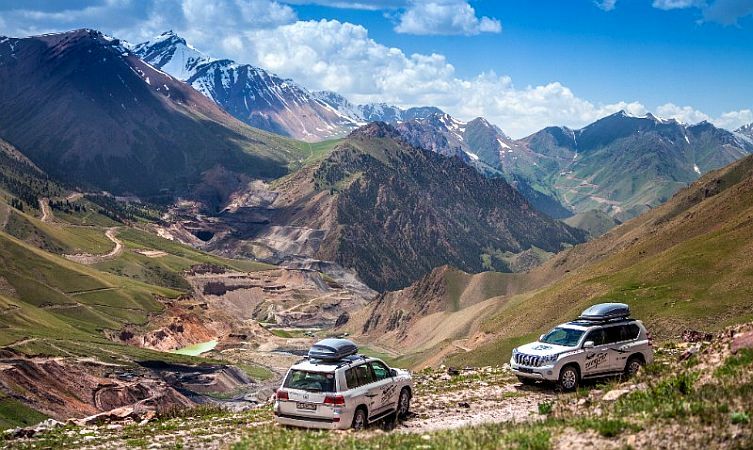 The Toyota Land Cruiser has an illustrious history with mountain climbing. It became the first vehicle to ascend to the sixth station on Mount Fuji. 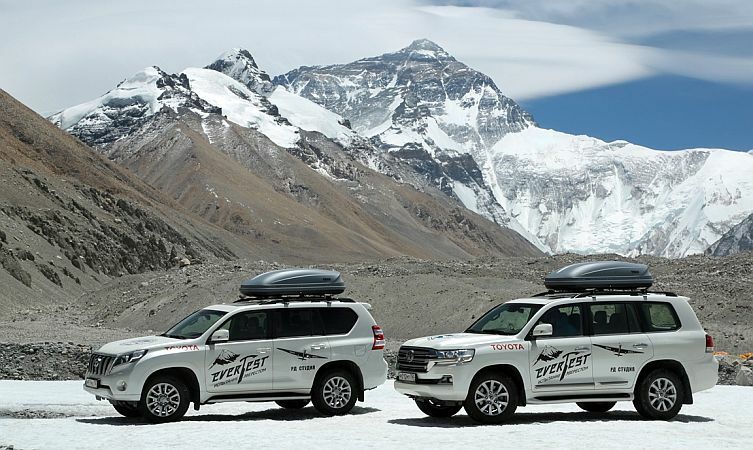 And now, more than 60 years later, Land Cruiser was chosen as the only vehicle range capable of supporting the ambitious Toyota EverTest expedition on its mission to reach the top of the world – the summit of Mount Everest. What is the Toyota EverTest project? 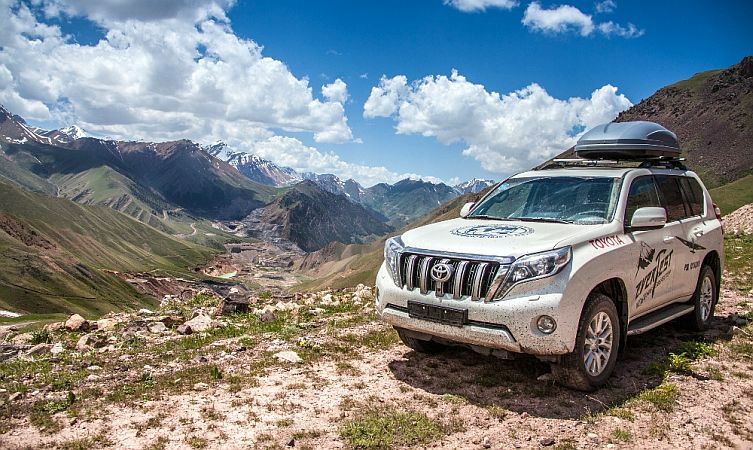 The expedition was a joint project between Russian television production company RD Studio, global web portal Yandex, and Toyota. 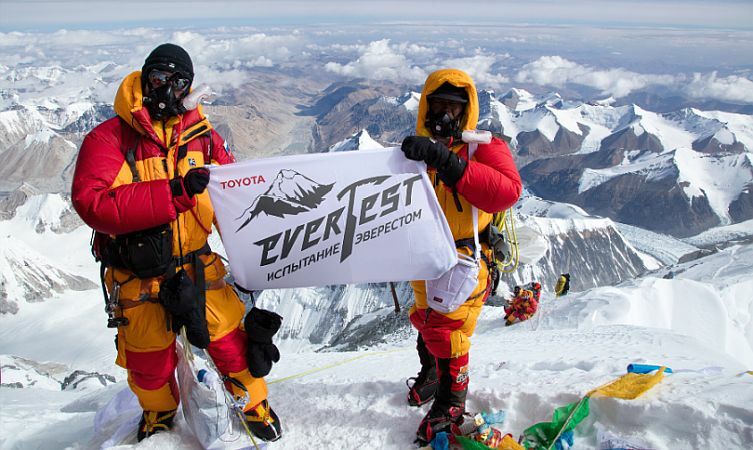 The aim of RD Studio was to produce a real-time television documentary of a professional mountain climbing team battling to conquer the world’s highest peak, while Yandex Maps was on board to capture an exclusive ‘street view’ climb for web users as well as a spectacular, panoramic walk-around from the top of world. 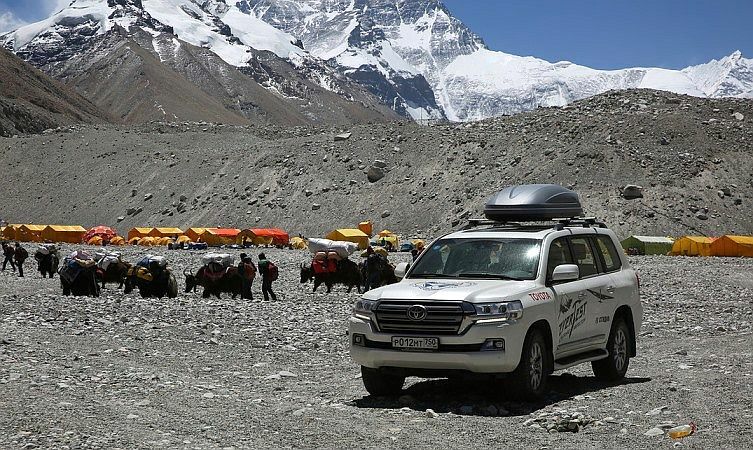 A pair of highly capable Toyota Land Cruiser models was drafted in to transport the team from its starting point almost 4,500 miles away in Russia to the northern Everest base camp. And back again. 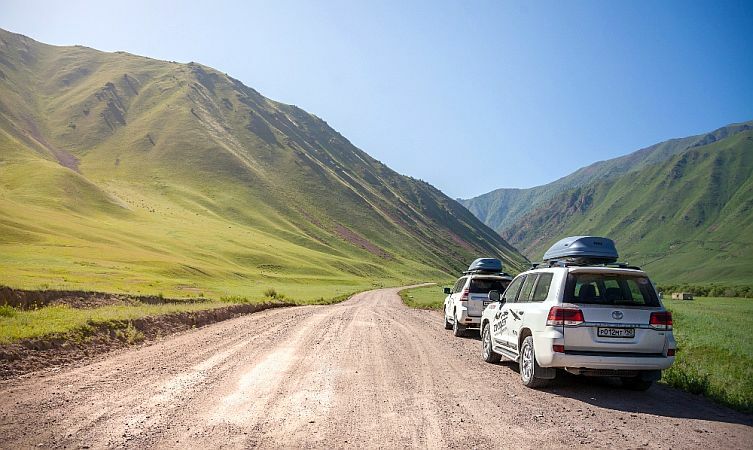 Virtually standard, the only additional equipment included winter tyres (and spares), snow chains, extra fuel cans, basic repair tools, roof boxes, and dynamic slings and clevises. 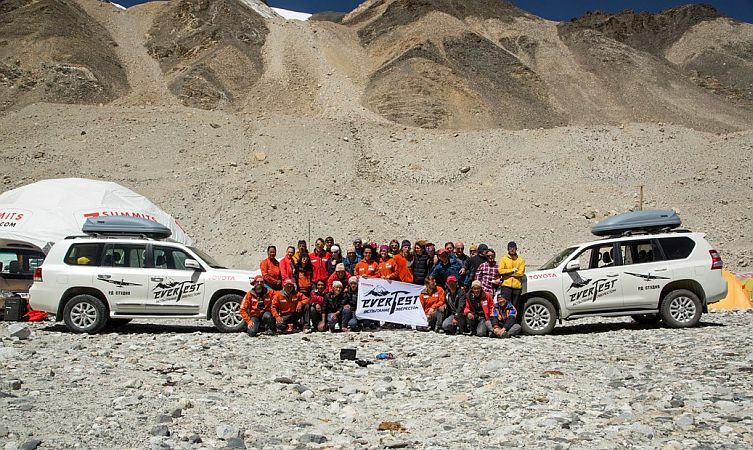 Couldn’t any similar vehicle get the team to the Everest base camp? Possibly, assuming it could be comfortably filled to the brim with passengers and equipment, cross treacherous fields and steppes, traverse a number of perilous ice bridges, and remain totally reliable and trustworthy in high altitudes. Interestingly, it wasn’t just the getting there that highlighted the value of the Land Cruisers. Having the models on hand at the base station during the acclimatisation process meant it was possible to relieve team-members suffering from acute mountain sickness. By immediately transporting them to a lower altitude – usually a journey of 50km to lose 1,000m in height – they were able to recover more quickly before joining the rest of the team again. Engines have to breathe, too. How did the Land Cruisers fare in these conditions? 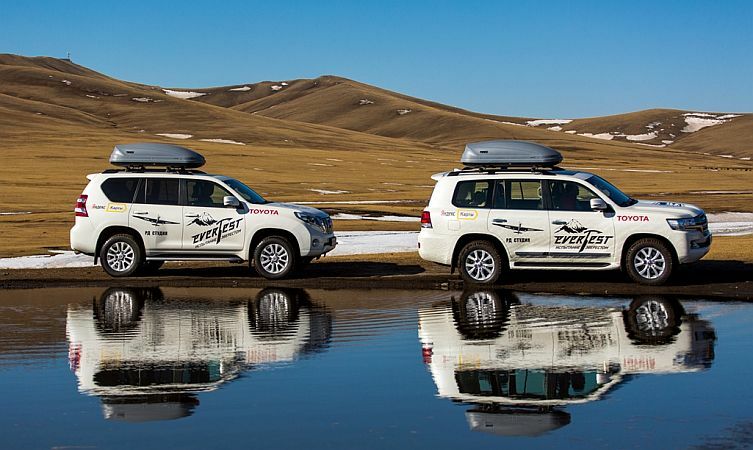 Not a single failure was reported in either of the two Land Cruisers during the entire 9,500-mile expedition. The cars remained as capable and reliable in the lowlands as they did when operating at an altitude of 5,374m in the world’s attic. A full diagnostic report carried out by Toyota in Moscow revealed a few minor body abrasions but no serious faults. 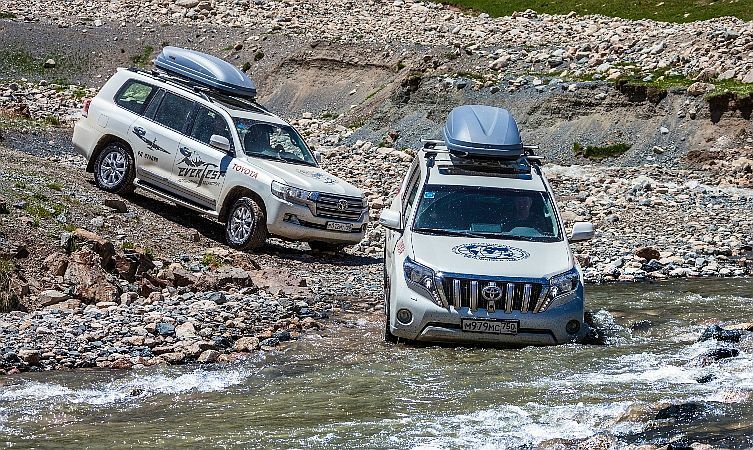 In fact, following regular fluid and filter changes and a few new brake pads, the Land Cruisers are now ready again for their next large-scale operation. So the Toyota EverTest challenge was successful then? Absolutely. And thanks to the team’s efforts, a global audience will soon have the opportunity to relive the experience at home and see what the world looks like from a mountaineer’s perspective standing at the top of Mount Everest. It would be good to see what modifications were made to the vehicles to prep them for the trip – surely it wasn’t stock? Thanks for your post. We have updated the blog post this morning to include this information. Thanks for querying this!